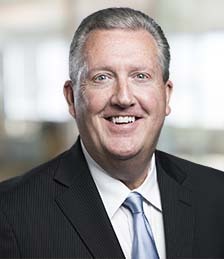 Gregory Garrett is the head of U.S. and international Cybersecurity for BDO, supporting over 2,000 Information Technology (IT) and cybersecurity professionals worldwide. With more than 30 years of experience, Gregg is a recognized IT and cybersecurity expert, having managed more than $40 billion of complex, high-tech programs, contracts, and related consulting and professional services for government agencies and Fortune 500 companies across the globe. An expert in strategic business planning, Gregg has significant experience developing and implementing cyber risk management programs designed to increase profitability and manage cost, risk, and compliance. He has significant experience with agile software development, cloud migration, data analytics, supply chain management, and systems engineering. Gregg is also highly skilled with respect to government contract compliance and management. He is a respected international IT business consultant, acclaimed expert witness, best-selling author of 22 published books, and a highly-decorated former U.S. Air Force military officer. Gregg is the recipient of numerous national and international business awards for his writing, teaching, consulting, and leadership. Produced by a team of 14 cybersecurity experts from five countries, Cybersecurity in the Digital Age is ideally structured to help everyone—from the novice to the experienced professional—understand and apply both the strategic concepts as well as the tools, tactics, and techniques of cybersecurity. The book provides a comprehensive overview of the contract administration process within the public sector along with illustrations of the various methods available. The book provides a comprehensive and compelling discussion of what it takes to achieve success when managing both large and small complex U.S. government contracts and projects.